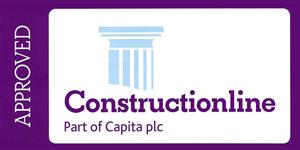 AJ Barnes Plumbing & Heating LTD are pleased to announce that we have been awarded a further two accreditations by Constructionline and the Acclaim scheme. Making us one of the few Plumbing & Heating companies in Plymouth to hold such prestige accreditations. Established in 1985, AJ Barnes Plumbing & Heating LTD is a local Plymouth business, now based in Estover we complete over 4,000 plumbing, heating & gas jobs every year in Plymouth alone and have been widely regarded as Plymouth’s leading Plumbing & Heating company. In May 2017, we were awarded the Constructionline accreditation and also the Acclaim accreditation. With these new accreditations, our customers in Plymouth and the surrounding areas can be sure that we adhere to the strictest health and safety policies and that our work is carried out to the highest standard. These further accreditations join a long list of current accreditations which include: Buy with Confidence, Platinum Worcester Accredited Installer, Approved Worcester Service Partner, Gas Safe Register and Nest Certified Partner. 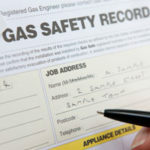 Our sheer number of quality accreditations is unrivalled in Plymouth and gives our customers confidence that our work carried out by our Gas Safe Registered Heating Engineers is to the highest standard. To receive a free home visit quotation from Plymouth’s leading Plumbing & Heating company please contact us. We carry out all Plumbing, Heating & Gas work in Plymouth and the surrounding areas.